The People’s Republic is trying to ease its huge corporate debt burden by letting some state-owned groups switch bank loans for equity. Over 300 billion yuan has already been exchanged. Breakingviews explains how, if the companies cannot be saved, taxpayers will still be on the hook. China has about 150,000 state-owned enterprises which hold more than 100 trillion yuan ($14.6 trillion) in assets and employ over 30 million people, according to the party-owned People's Daily. State-owned enterprises account for over half of China's outstanding corporate debt despite producing only 22 percent of total economic output, Moody's estimates. Credit to non-financial public enterprises in China now stands at around 114 percent of GDP, compared to 21 percent average in Asia - which is itself the highest in the world. 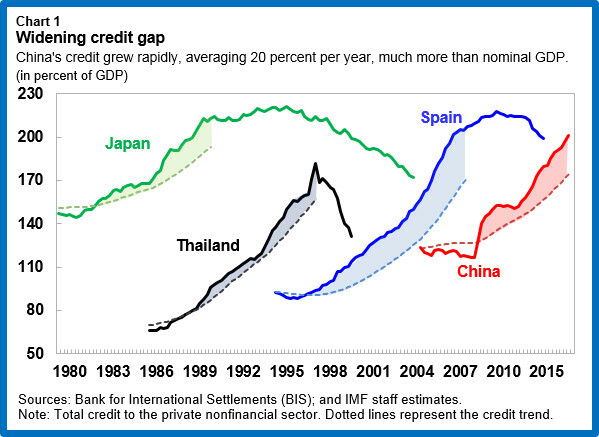 In a report Moody's estimated eliminating Chinese SOE debt could cost as much as 20 percent to 25 percent of GDP. The China Beige Book survey for the fourth quarter of 2016 showed that cash flow weakened at surveyed firms even as borrowing intensified, and commodities stockpiles rose quickly.